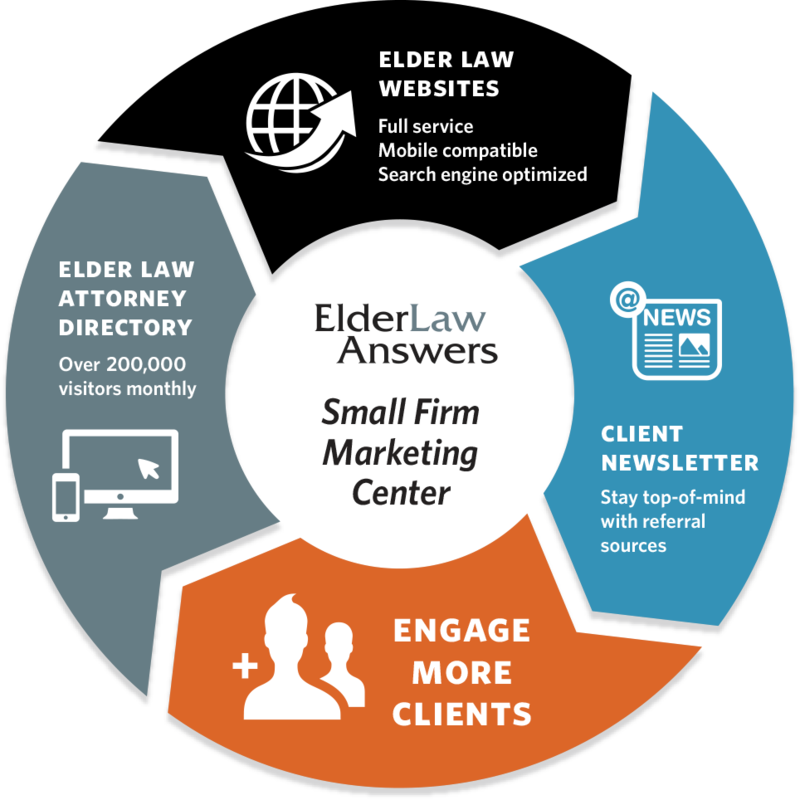 Start connecting with more referral sources and engage with future clients. 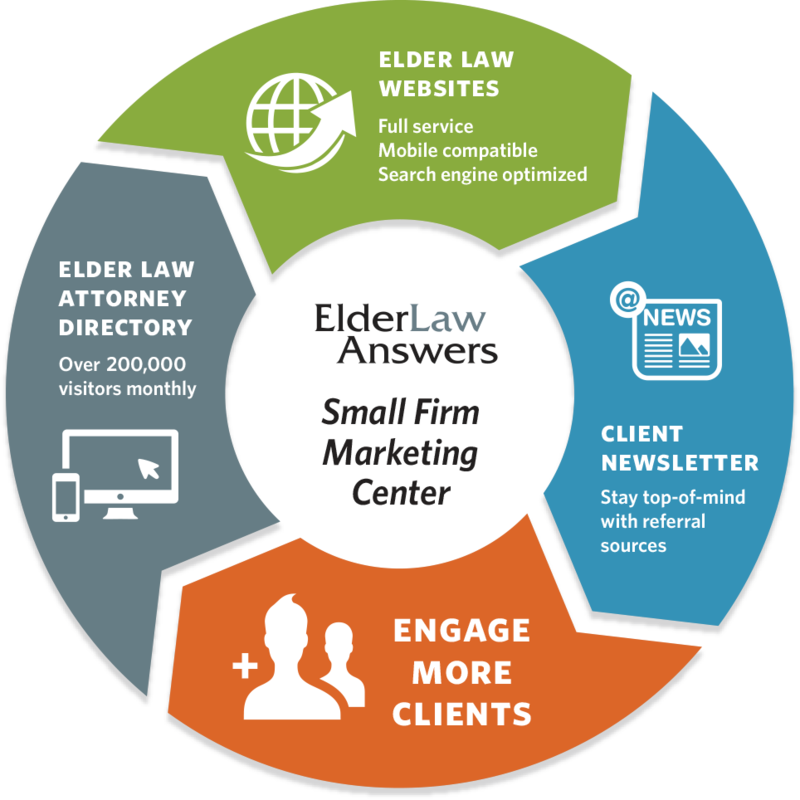 Introducing the ElderLawAnswers Small Firm Marketing Center. 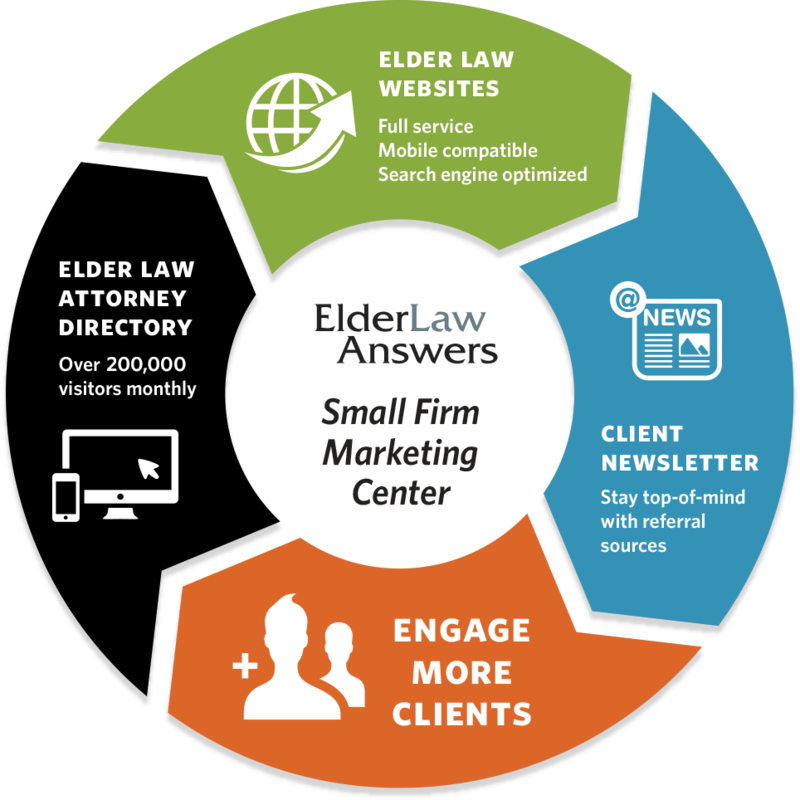 Here, you can access all of our web-based practice development tools to help grow your firm. Sign up for a free 30-day trial and see for yourself. 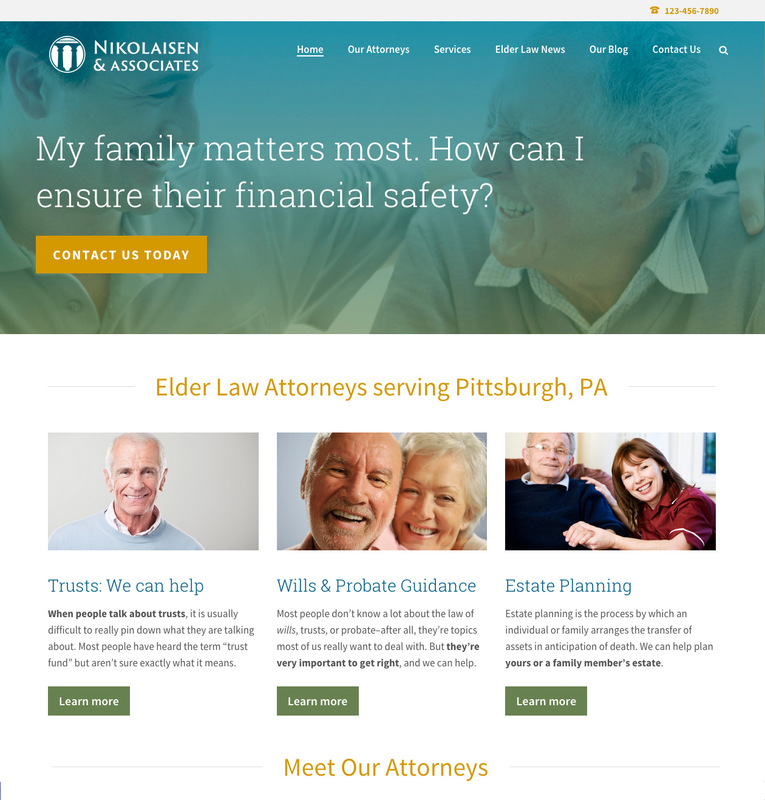 Over the last 13 years, the depth and breadth of our content has earned us significant authority from Google. What does this mean for you? 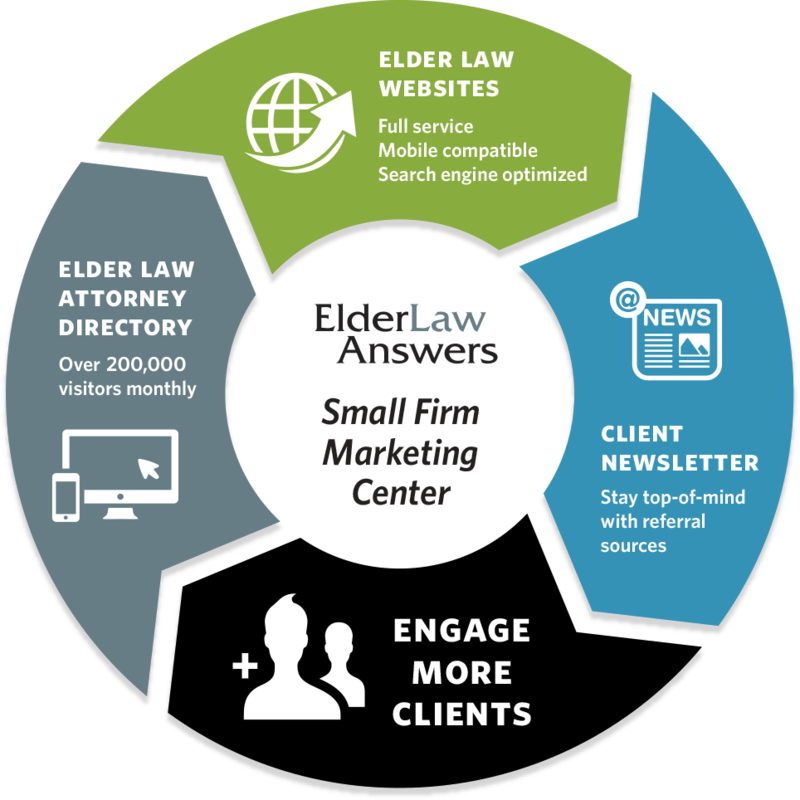 With over 200,000+ unique visitors per month looking specifically for elder law resources, a profile on the ElderLawAnswers Directory will set you apart as one of a select group of expert attorneys. 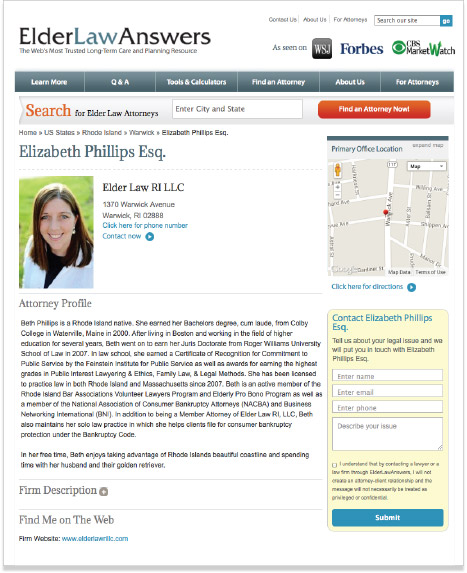 What can you do with an ElderLawAnswers profile? 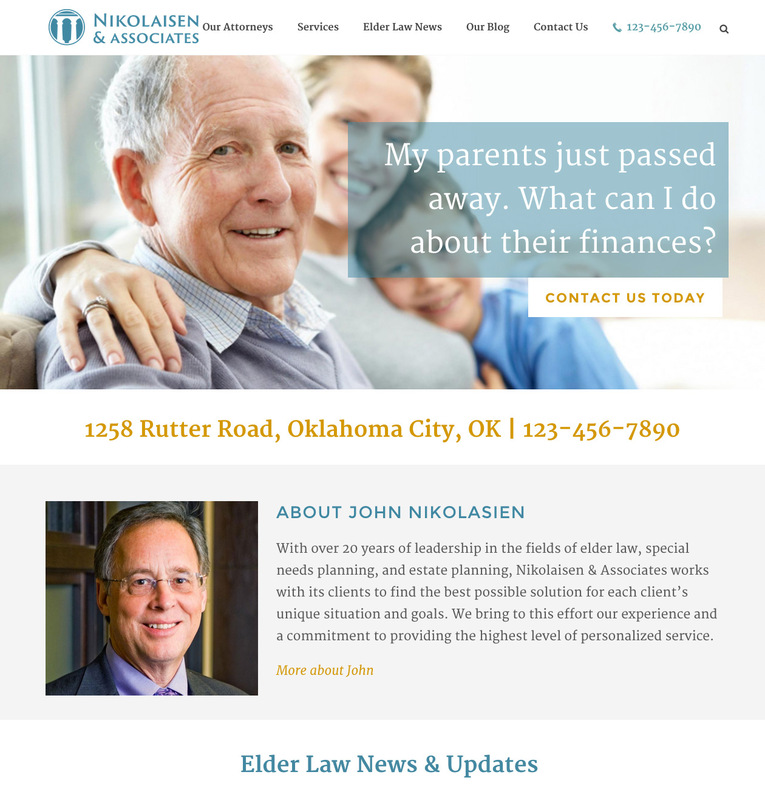 Attract elders and family members looking for an elder law attorney near you. 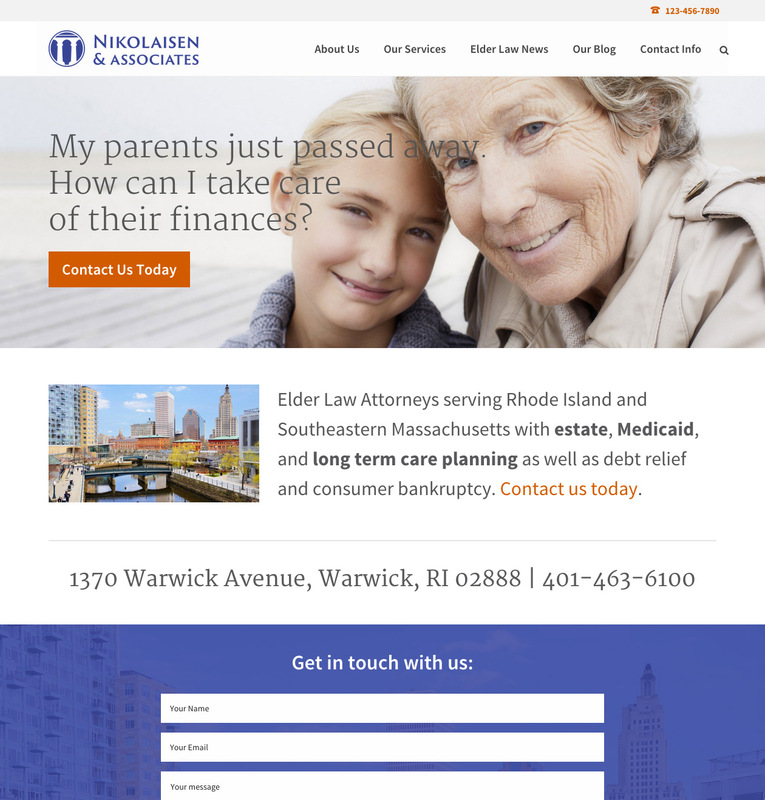 Build your referral list by personally connecting with potential clients through your profile contact form. Keep track of engagement with your profile through our advanced analytics. 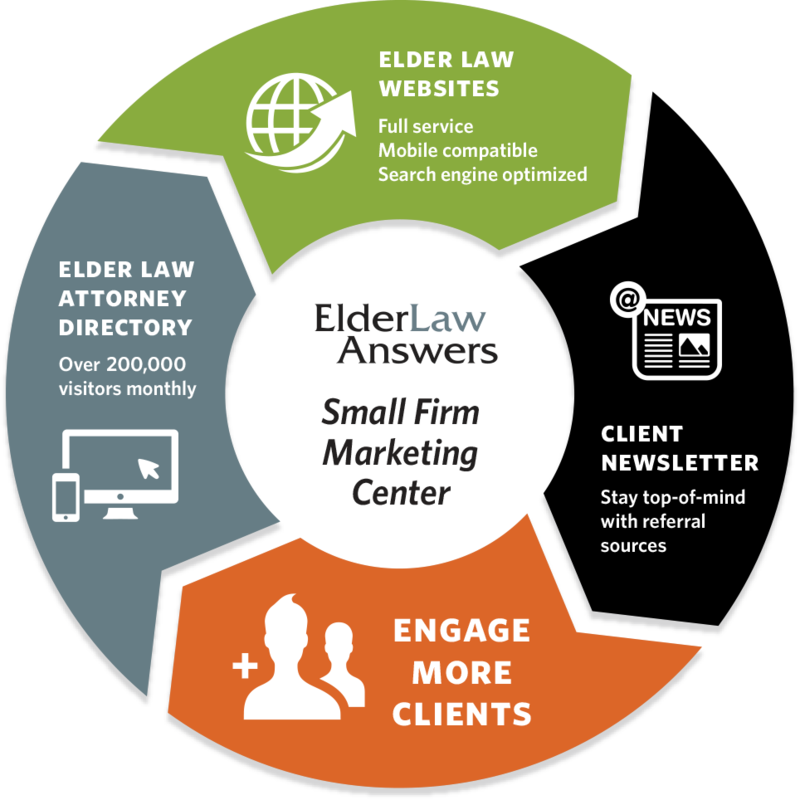 You know you need to keep in touch with your referral sources and clients on a regular basis...but how? Send targeted emails, with an unlimited amount of saved email lists. 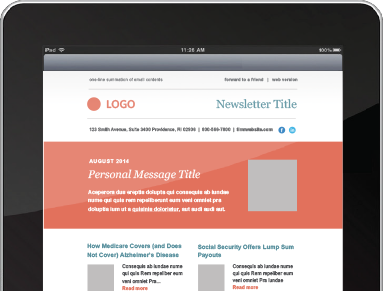 Build your email list with our subsciption form. 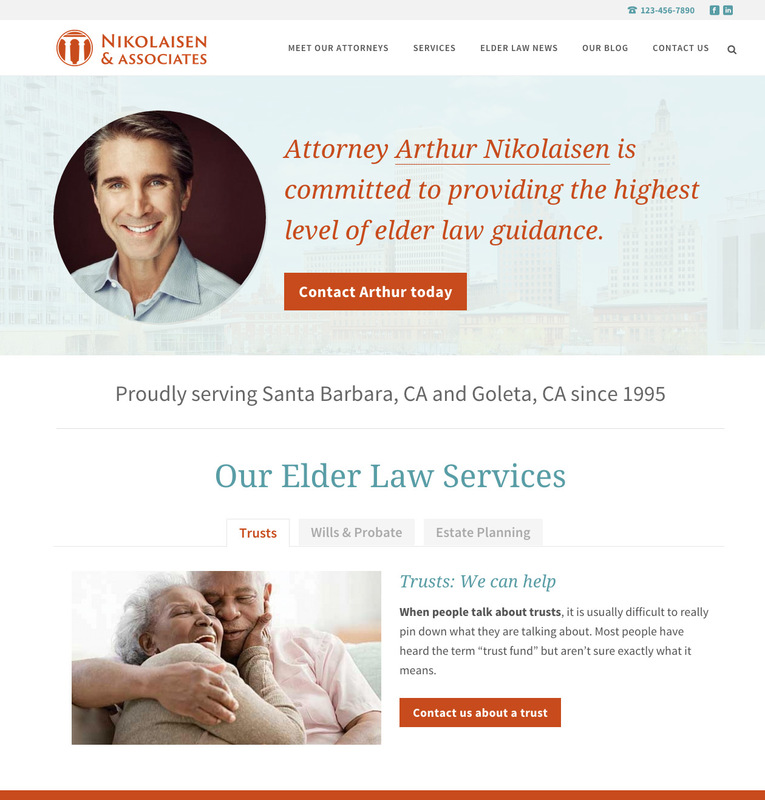 Now we can build your firm a fully functional, professionally designed Wordpress website and support it for an affordable price.